A friend told me she was going to a March For Our Lives AU meeting and I decided to tag along despite having no prior knowledge about the organization and what it has accomplished. March For Our Lives is a movement dedicated to reducing gun violence and the school shootings that plague America. American University students run a chapter for the movement, and this was its first meeting. Overall, I was surprised by the passion, dedication, and inclusivity of its board members' presentation. I found myself moved and empowered by the end of the meeting. The session began with the board for MFOL AU introducing themselves, and then each person explaining why they joined the organization. Some of the reasons were very personal, for example, knowing someone affected by the shooting that started the movement or growing up in an area particularly plagued by gun violence. Many people's introductions were full of strength and determination. The common theme was a drive for change that brought out the best in these students and truly made me want to join the movement. One of the issues that continued to come up with the introductions was how preoccupied the board is with diversity and inclusion. I did not previously consider the intersection between gun violence and race as an issue for the organization, but was surprised by the ambition shown towards expanding. Black Americans are about eight times more likely to be killed by firearms than white people in America. The March For Our Lives movement is about more than the upper-white-middle-class kids. The organization in DC is inclusive since its speakers are from all different backgrounds and walks of life. According to the presentation, this is the March For Our Lives AU Agenda: * Background checks * High capacity magazine ban * Limit firepower on streets * Funding for intervention programs * Extreme risk protection orders * Disarm domestic abusers * Gun trafficking * Safe storage and mandatory theft reporting*. 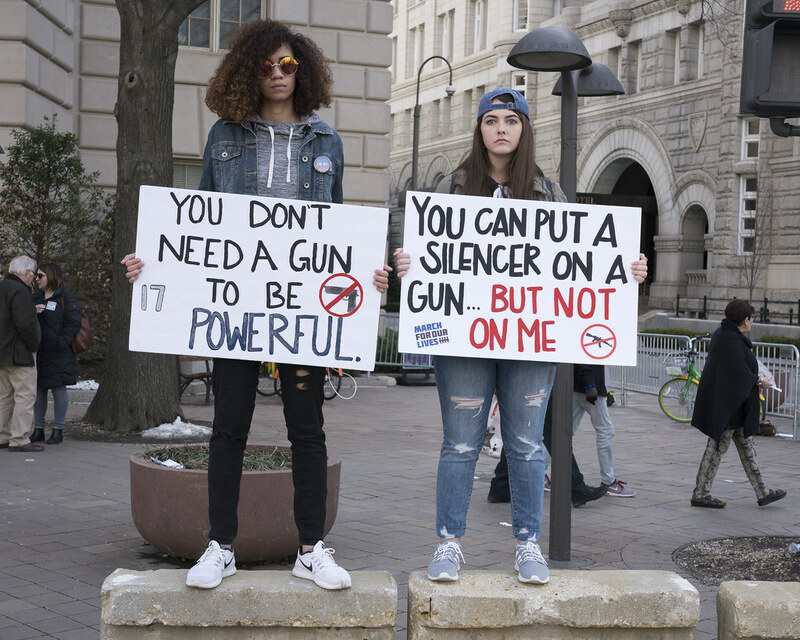 The directors of the organization explained that MFOL AU is a way to connect AU students to the larger organization of March for Our Lives DC. The club’s board also discussed their achievements, which I did not know about. MFOL AU attended the hearing for HR8 and while there, lobbied for the bill and helped gather support for it to pass. The members also act as constituents by delivering letters to senators. At the end of the meeting the members encouraged us and provided materials for us to write letters to our Senators to promote background checks. The activity immediately helped members new and old to get involved amnd help make a difference, which emphasizes all that the organization stands for. By the end of the meeting I realized that maybe American University students are not all talk about their activism like we assume they are. Here is a group on campus dedicated to making change and joining a movement the country desperately needs. I am so glad I attended this meaning and have become so much more informed about the movement it supports. I hope more AU students will join with me to stand up against gun violence. Grace Hasson is a dedicated writer and poet. She is studying English literature and music at American University. She is a part of the class of 2022.